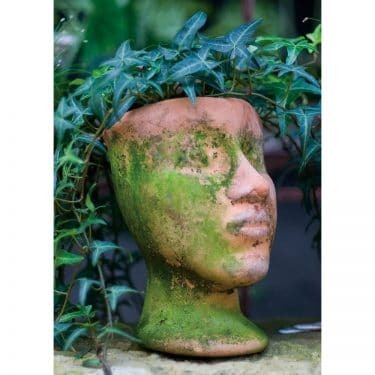 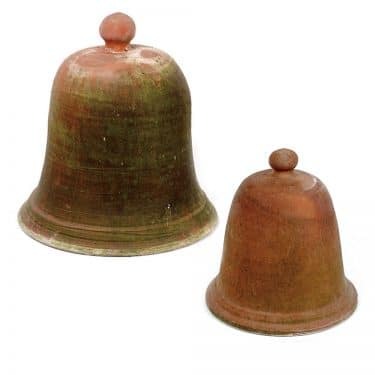 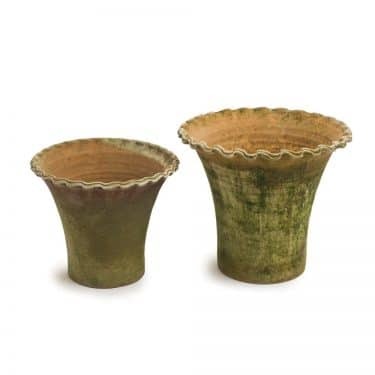 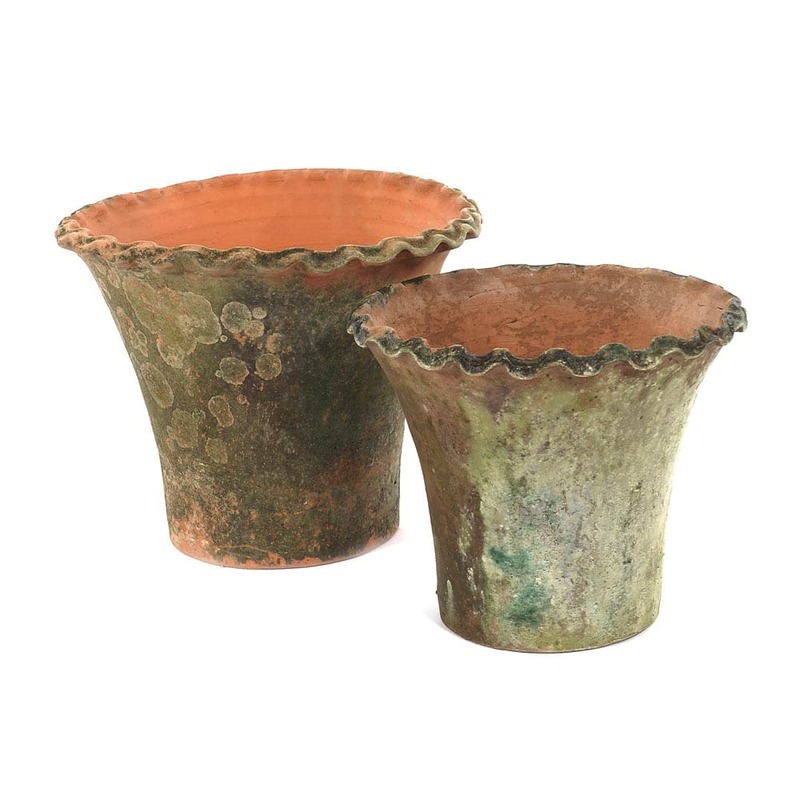 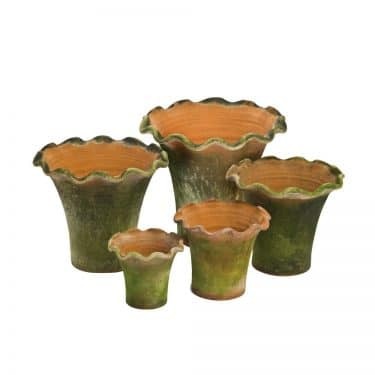 AGED PIE CRUST PLANTERS - Large Scale | Campo de' Fiori | Naturally mossed terra cotta planters, carved stone, forged iron, cast bronze, distinctive lighting, zinc and more for your home and garden. 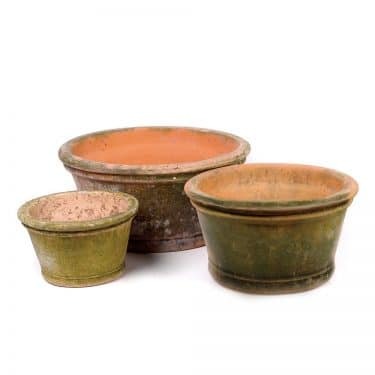 Another of the original Campo de’ Fiori designs these pie crust pots are among the most coveted by our friends and customers. 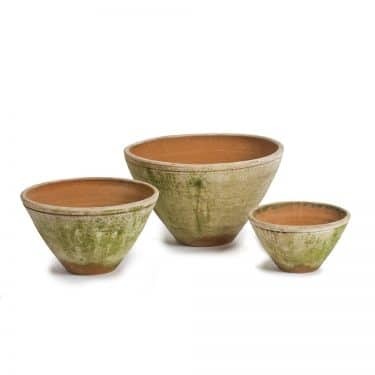 Also turned by hand and aged in the greenhouse for a beautiful live moss finish. 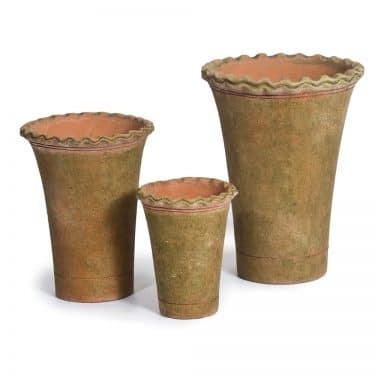 These are the large scale planters. 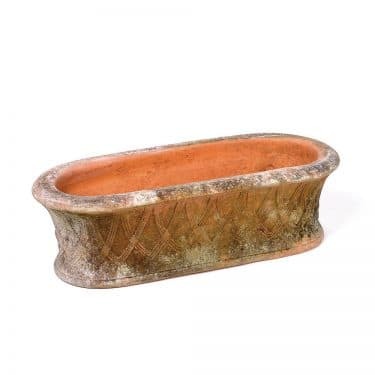 15"D 13"H - Fits Metal Saucer #6, or Terra Cotta Saucer #5. 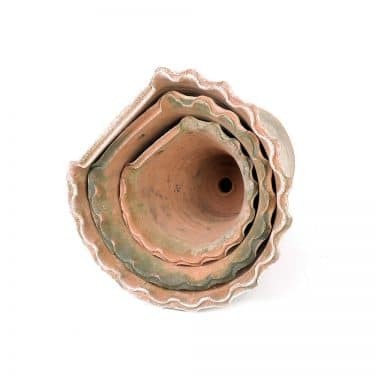 18"D 15"H - Fits Metal Saucer #7, or Terra Cotta Saucer #7.